Exactly two months after a two-judge bench referred its appeal against Delhi High Court order which said Lt Governor was the administrative head of Delhi, the Kejriwal government knocked the doors of the Supreme Court yet again today seeking setting up of the bench at the earliest and a speedy hearing. 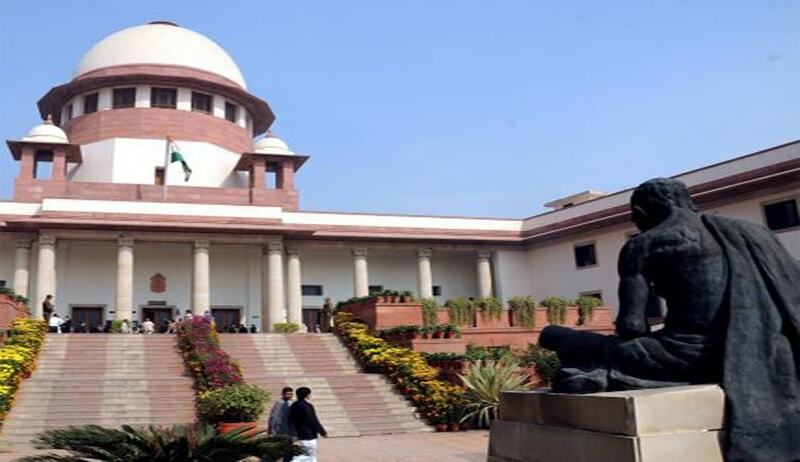 The government has been assured that it may take a decision setting up the constitution bench after the summer vacation. In a significant move, after hearing the matter for more than five months, a two judge bench of the Supreme Court had on February 15 referred to a constitution bench all petitions pertaining to power tussle between Delhi’s Arvind Kejriwal government and the Centre. Through an SLP, the government had challenged the August 4, 2016 judgment of the Delhi High Court that declared Lt Governor as the “administrative head” and ruled that he is not bound by the aid and advice of the council of ministers. The Centre had all along been demanding that the matter be referred to the constitution bench. When the delhi government said matters would only be delayed with such a move, Justice Sikri allowed Centre and AAP govt to mention it before CJI for early hearing in the case if it felt that the governance in Delhi is hampered due to ongoing dispute. Last week Senior lawyer Gopal Subramanium, one of the top counsel representing the Delhi Government in the SLP submitted a detailed written submission giving 47 grounds why the HC order is “erroneous” and should be set aside. Subramanium had earlier referred to previous LG Najeeb Jung constituting a three-member panel to examine over 400 files containing “infirmities and irregularities” in the decisions taken by the government. “The functioning of the committee also needs to be stayed. Legitimacy cannot be given to it till the issue is decided by this court”, he had argued. The AAP maintains that if an elected government did not have control over the mechanism to weed out corruption through the Anti-Corruption Branch (ACB), then its functioning would be ridiculed by the people who had given it the mandate to govern for five years. The Delhi government said it was a settled constitutional principle that the figurative head of a state, like governor or LG, was bound by the decision of the council of ministers headed by the CM “but the HC chose to tread a new constitutional path and declared that the LG had the discretion whether or not to heed the council of ministers”.